THE explosion of hair and make-up tutorials on YouTube has busted every beauty secret out of the box. Subscribing to video tutorials from the hundreds of successful beauty tutors is like being led by the hand to the bathroom mirror and let in on every beauty secret by the hottest girls at school. Want to achieve Angelina Jolie's smoky eyes or get retro Hollywood hair? A simple search on YouTube can show you everything - from the basics of make-up application to step-by-step guide to becoming Zombie Barbie. Self-taught artist and beauty tutor Michelle Phan is an inspiration for any girl who loves money as much as pouting in the mirror. She earns $224,000 annually through YouTube alone and has just over 3 million subscribers. 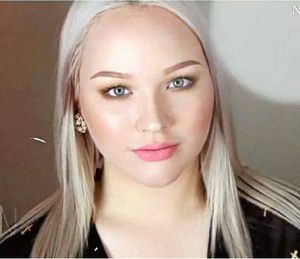 Michelle's high-production-quality videos capture the fantasy looks of Disney princesses and pop starlets and make them a step-by-step achievable reality. Popular tutorials: Miranda Kerr, Zombie Barbie. Hot tip: Lightly spray water on your face and smooth out your foundation with a damp sponge to smooth out the texture. Cinthia Truong is the babe of braids. From formal bouffant to edgy mohawk styles, Cynthia's softy spoken tutorials are easy to follow. With a bit of patience, practice and preferably another set of hands, you can achieve any hairstyle. From a windswept spring bride do to an edgy fauhawk braid, Cynthia's up-dos are always on trend. Hair tip: With patience, hairspray and bobby pins you can achieve the most intricate look. Always wanted to be friends with that hot, slightly vacuous girl at school and know all her beauty secrets? Subscribing to LaurenBeautyy, the 20-year-old Aussie blonde's YouTube channel is an all-access pass into the mind and make-up bag of this bombshell with 'tude. Part of her allure is her conversational tone, where she unlocks both personal and make-up secrets. Sponsored by Bobbi Brown, her tutorials are often product specific but the techniques are easy to copy. While she has plenty of haters, her make-up style is always on trend and fairly accessible - if a little too bronzed for some - particularly for schoolgirls who wish to look older than their years. Lauren's beauty tip: Keep on trying to find that holy grail of prefect foundation. Dutch beauty tutor Nikkie de Jager, 17, garnered 28 million views for her YouTube tutorials about applying on rhinestone makeup. However, the message in this viral video wasn't a beautiful one. In the video, she is dramatically thrown forward as if in a car crash. Rhinestones fly like shattered glass. The footage was used as a public service warning against applying make-up while driving. Nikkie's beauty style is feminine and edgy with enough detail to teach the most clueless viewer. Her talent lies in taking celebrity and catwalk looks and making them achievable for all. Average looking without make-up, she is popular with those who believe in the transformative effect of well-applied make-up. Nikkie's beauty tip: There is nothing beautiful about applying make-up while driving. For anybody outside the rockabilly scene, the world of vintage glamour can seem a mystery. However, Cherry Dollface, the queen of retro, uses modern techniques and products to achieve the intricate old-world styles. She is the go-to girl for anybody wanting to achieve victory rolls, retro bangs, beehives or pin-up make-up looks. Cherry's tips: Dust some loose powder under your eyes before you apply mascara.